BOULDER, CO, USA: As Curiosity rover marches across Mars, the red planet’s watery past comes into clearer focus. That close look proved that the polygons — confined to a single layer of rock and with sediment filling the cracks between them — formed from exposure to air, rather than other mechanisms such as thermal or hydraulic fracturing. 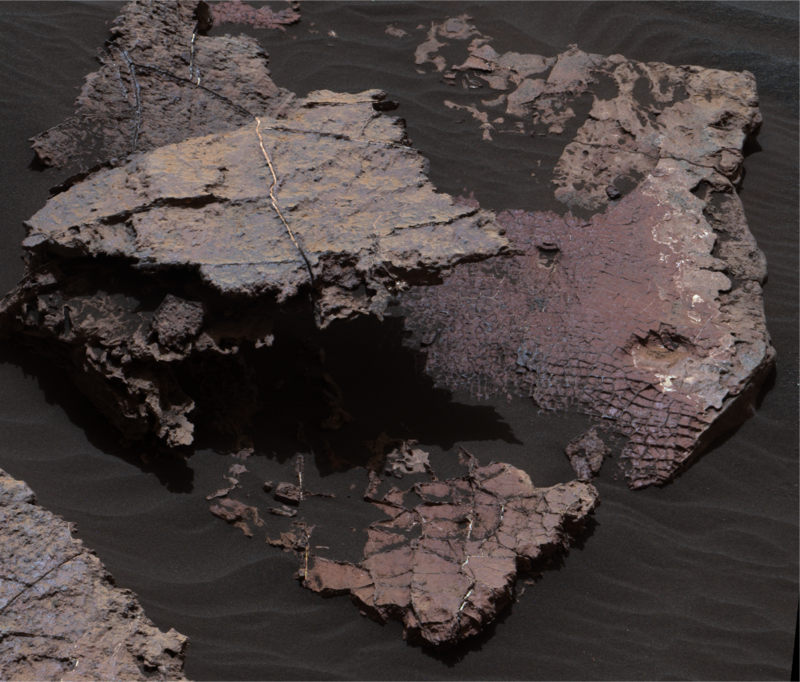 And although scientists have known almost since the moment Curiosity landed in 2012 that Gale Crater once contained lakes, explains Stein, "the mudcracks are exciting because they add context to our understanding of this ancient lacustrine system." Contact: Lead author: Nathaniel Stein, nstein@caltech.edu. Old Soaker: Mastcam image of the Old Soaker rock slab taken on Sol 1555. The red-toned bed is covered by ridges that are the remnants of sediment that filled cracks that formed in drying lake in Gale Crater some ~3.5 billion years ago. The slab is about 80 cm across. 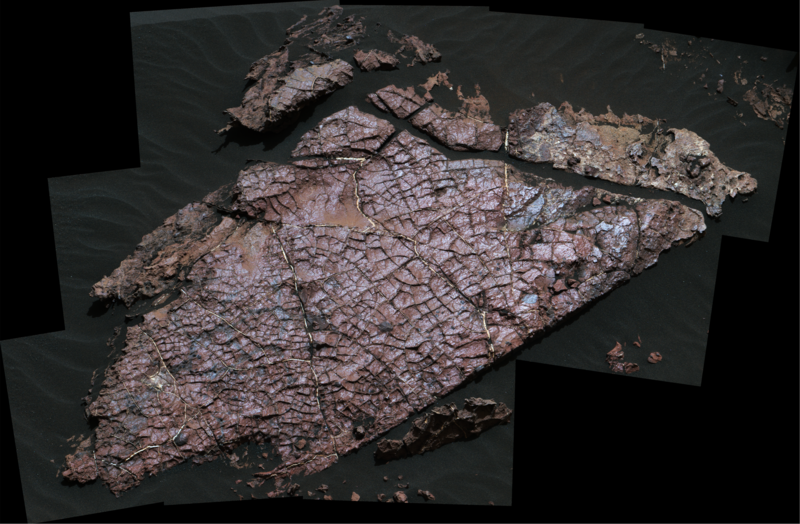 Squid Cove: Mastcam image of the Squid Cove rock slab taken on Sol 1555. The red-toned bed is covered by ridges that are the remnants of sediment that filled cracks that formed in drying lake in Gale Crater some ~3.5 billion years ago. The cracks terminate at the underlying bed, which is coarser and did not fracture. The slab is about 60 cm across.